Palmyra, VA, September 19, 2017 –(PR.com)– According to professors Charles Manz and Craig Pearce, today’s business, political, and not-for-profit worlds are plagued by a leadership disease – the overly simplistic view that leadership primarily resides in one person or a small set of people who influence lower-level subordinates. That view fosters corruption, abuse of power, and the waste of human talent by those in power. Manz and Pearce present an antidote to the leadership disease in their new book "Twisted Leadership." 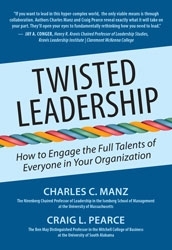 "Twisted Leadership" is published by Maven House Press. Charles C. Manz, Ph.D., is the Nirenberg Chaired Professor of Leadership in the Isenberg School of Management at the University of Massachusetts Amherst. In addition to his academic work, he is a speaker, consultant, and bestselling author of more than 20 business books, including SuperLeadership, Self-Leadership, Emotional Discipline, and The Leadership Wisdom of Jesus. Manz has been awarded Harvard Business School’s prestigious Marvin Bower Fellowship and the Stybel-Peabody National Book Award. Craig L. Pearce, Ph.D., is the Ben May Distinguished Professor in the Mitchell College of Business at the University of South Alabama. In addition to his academic work, he is a speaker, consultant, and entrepreneur. He’s the author of Share, Don’t Take the Lead and the editor of The Drucker Difference and Shared Leadership. 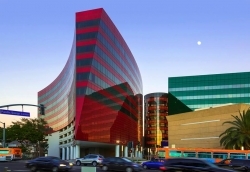 He won the Center for Creative Leadership award for his work on shared leadership. Maven House is an independent publisher specializing in forward-thinking business and personal success books by executives, business owners, educators, and other experts. Its titles are distributed worldwide by Ingram/PGW/Legato. For more information visit mavenhousepress.com.